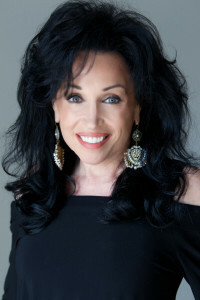 Fonda Lee has truly enjoyed beautifying her elite clientele in Palm Beach County. She has led the path for up and coming national makeup chains putting them on the map in a way only she can. The director of beauty and philanthropy has also been a staple on the Palm Beach charity social scene, leading kick-off events and collaborating with some of the busiest chairwomen and some of the largest non-profits in our area. In fact, she began her involvement with the volunteer charity scene as the first director in Florida for the “Look Good, Feel Better” Program for the American Cancer Society, where she held the position for seven years. From celebrity makeup design and guest speaking, to planning some of the season’s biggest charity events, Fonda Lee has done it all. A graduate of PGH Art Institute, design and color have always been a part of her world. Now she has combined her love of artistry with makeup and aesthetic for design, to bring a truly unique concept to life. Fonda Lee Beauty Bar and Event Boutique, newly opened in Palm Beach Gardens, is a treat for the ladies of our area, bringing together a fusion of beauty and social sensibilities like no other. “My vision for the Beauty Bar is to combine ‘Inner Beauty’ with philanthropy. The Beauty Bar will be hosting a series of Charity spotlights, all which will benefit our guests and their important causes.